Footwearbiz.com went live in 2006 as the news portal to complement World Footwear magazine, which has been keeping the industry informed for more than 25 years. While the magazine offers the latest in-depth technical features, footwearbiz.com allows our members to access industry news and product information on a daily basis, for FREE. The site is closely linked to the magazine and the World Footwear ezine can be downloaded at the click of a button. 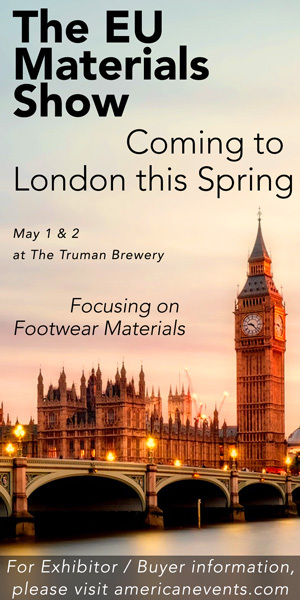 The website allows you to download individual articles from the World Footwear technical library, which holds articles published in World Footwear going back to 2006. The essential news service has been designed in a user-friendly format, and is offered absolutely FREE of charge, as is the weekly e-newsletter. Any recent launches or important company news can be showcased on the homepage using the ‘Hot Topic’ advertisement space. Please use one of the buttons below to contact footwearbiz.com team.